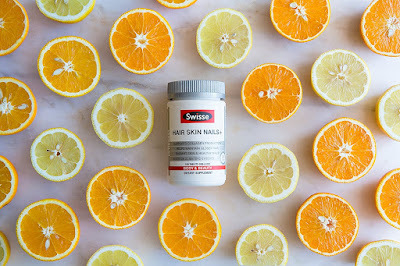 Early last month vitamin powerhouse Swisse Wellness launched its new, extended beauty range, which calls on consumers to re-think the traditional beauty model by integrating skincare with supplements to support yourself ‘ínside and out’. Over a delicious breakfast in the private room above Britomart’s Amano, beauty insiders like myself were introduced to the four new skincare and four new supplement products, some of which contain breakthrough ingredient Sicilian blood orange, sourced from the volcanic surrounds of Mt Etna in Italy. All natural products that are free from toxic ingredients, the range has taken pure ingredients from nature to create luxurious, nutrient-enriched skincare products, including an Intensive Hydration range (Hyaluro-Natural Moisturising Facial Serum, Hyaluro-Natural Hydrating Facial Mask and Hyaluronic Acid Firming Eye Serum) as well as a Blood Orange Brightening Serum. 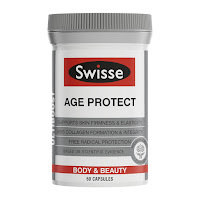 My personal fave from the supplements is Swisse Ultiboost Age Protect, which is a premium beauty formula that helps support the skin’s firmness and elasticity as we age. It’s jam packed with ingredients like Cacao, vitamins A, C and E, Green Tea and Co Enzyme Q10 to keep skin strong, supple and at its best. From the skincare lineup I’ve become obsessed by the Hyaluro Natural Hydrating Facia Mask, which is like a tsunami of moisture for your skin and great for use overnight whenever you need it. 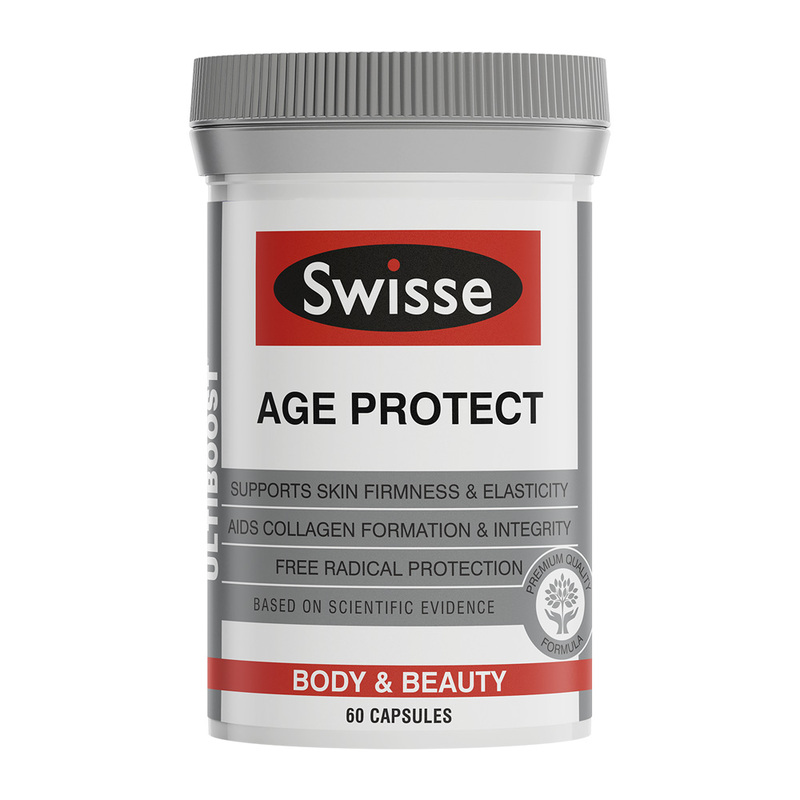 What is Swisse’s top selling supplement, and why do you think that is? Without question, Swisse Men’s and Women’s Ultivites are the top selling supplements in our range. They’re also the No.1 selling Multivitamin range in New Zealand pharmacy, which is a testament to their success! The Ultivites have been Swisse’s flagship products for over 20 years, and have a unique blend of premium quality vitamins, minerals, antioxidants and herbs designed to support men’s and women’s health, unsurpassed in our eyes by any other multivitamin in the market. The brand has just introduced products that help with the skin, hair and nails in earnest, such as the Age Protect one. What makes them different from say, the various beauty powders and oils and whatnot on the market like Bestow Beauty Oil and The Beauty Chef? Swisse are experts at sourcing and formulating the best quality ingredients for therapeutic effects on the body. Nutrient rich superfoods are a great way to supplement a healthy diet, and it’s so wonderful to see more natural options aimed at internal support of our skin and health. Our products like Hair Skin and Nails liquid, Radiant skin and Age Protect take the impact on a healthy skin barrier to the next level as they contain registered therapeutic herbal and vitamin ingredients at potent doses! How long do you have to be taking them before you see a difference? That varies so much from person to person, the state of their overall health, their lifestyle and diet and it also depends on what natural ingredient you are taking. B vitamins for example, have been shown in research to have quite a quick positive effect on energy levels, however minerals and herbs for hair and skin health may take some months as the new cells regenerate and new hair and skin appears. The companies mentioned above are great, but pricey. Is that fancy marketing do you think? Swisse seems to be able to keep costs affordable. Thank you, yes, we believe that our products need to be accessible to most people as we have a vision to make billions around the world healthier and happier! It’s our global buying power of high volumes of premium ingredients for both our vitamin supplements as well as our skincare, that keep our products affordable. We invest in our relationships and support our valued suppliers, so that we can produce quality premium products that include precious ingredients from nature and pass on those benefits to the customer. Our global mission is to make millions of people around the world healthier and happier, and part of fulfilling that mission is to make our products accessible. We know we should all be eating better, but taking supplements really helps fill in the gaps on those less-than-great days! What are some of the ingredients in the likes of Age Protect that we may not really be able to get at therapeutic doses ourselves? I love the convenience of bringing these amazing ingredients into our daily routine. 100mg of Green tea extract would take a lot of cups of green tea a day, which may not be practice in our busy lives. Potent antioxidant like Co-enzyme Q10, which naturally decreases as we age and Alpha Lipoic acid, the King of antioxidants support skin firmness, elasticity and collagen formation. What are some foods we can eat more of for great skin? Colourful vegetables! For breakfast, lunch and dinner as well as snacks! Bright colours of red, orange and green are packed with potent antioxidants that support our collagen formation, hydration and skin renewal! We also need to add more healthy oils. My favourite is Extra Virgin Cold Pressed Olive Oil – buy small bottles so it’s always fresh! What supplements are your favourites from the range? Our Hair Skin and Nails Liquid is a favourite as it contains our precious and potent blood orange from the volcanic soils of Mt Etna in Sicily Italy as well as a high dose of Silica. It has a broad action so is suitable for all women even in pregnancy. If you are seeking more specific skin support, especially if you are getting older like me, then I love to use and recommend Age Protect as the combination of potent antioxidants support my skin’s firmness and elasticity. Perfect! And what are your ‘essential’ picks from the skincare range? Our Blood Orange Brightening Facial Serum contains anthocyanins and vitamin C that helps to slow down pigmentation and age spots so this is an essential for me! I’d add our Hyaluronic acid firming eye serum for the sensitive area around the eyes where fine lines first appear. The company was bought by a much larger group based in China. Will that effect the supply chain for ingredients at all? There has been talks of Chinese buy outs resulting in magnesium sourced from areas with heavy metals present and the like. Should Swisse customers be worried? (I hope not, I love your products!). No not at all! By expanding our products to more people worldwide we only strengthen our buying power and relationships with suppliers. Swisse have always been committed to the best quality ingredients and have rigorous standards in place around testing for contaminants like heavy metals. It’s clear cut safety and health first!